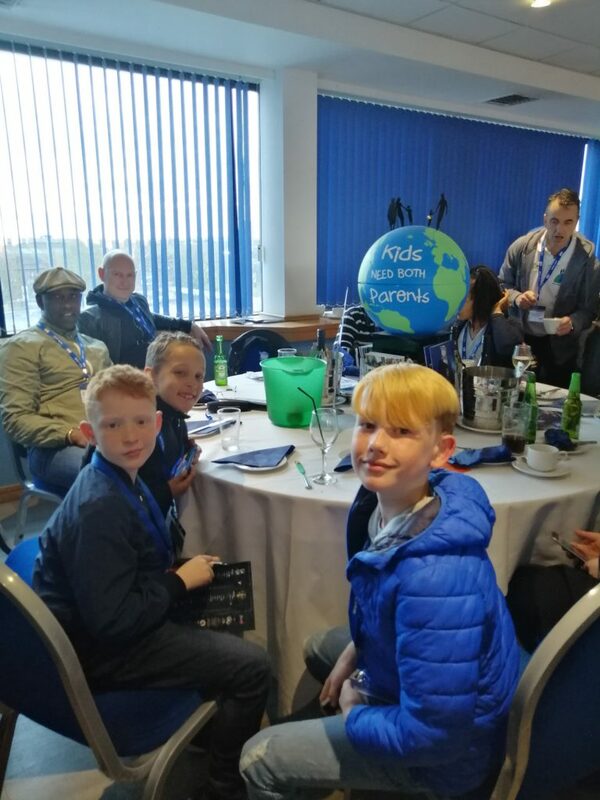 On Saturday 6th April, ‘Kids Need Both Parents’ invited a family and their friends to join us in the Jasper Carrot Suite. Paul, Curtis, Reiss and Joshua went on a tour of the ground where they got to go into the Home dressing room. 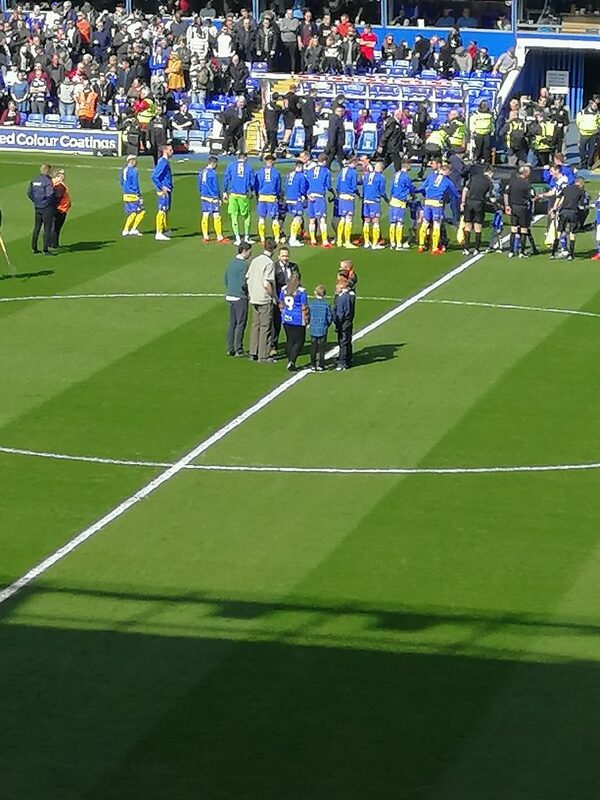 Curtis was so excited when he won a competition to walk out with the team onto the pitch. 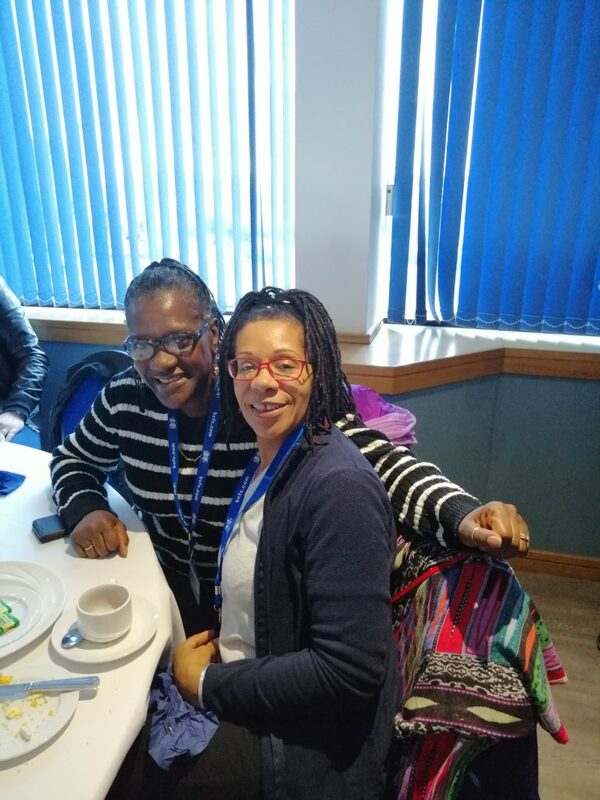 Pam, one of out volunteers invited her friend Celina to her first ever football match as a treat for her birthday as she turns 60 next week. 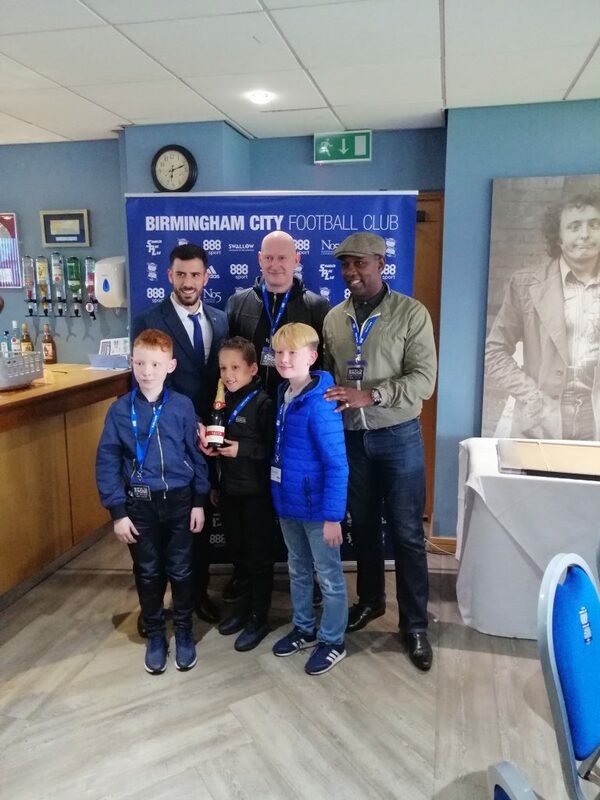 The family also won the quiz so they were chosen to award the ‘Man of the Match’, Maxime Colin with a bottle of champagne. Birmingham beat Leeds 1-0 with Che Adams scoring the winner.